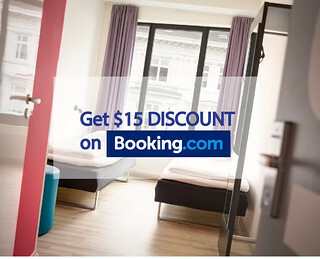 We actually arrived Seoul around 11pm, and from Incheon Airport, we rode the bus 6015 and dropped of at Sejong hotel. The whole ride from Airport to Myeongdong costs 10,000 krw, and is very cozy. 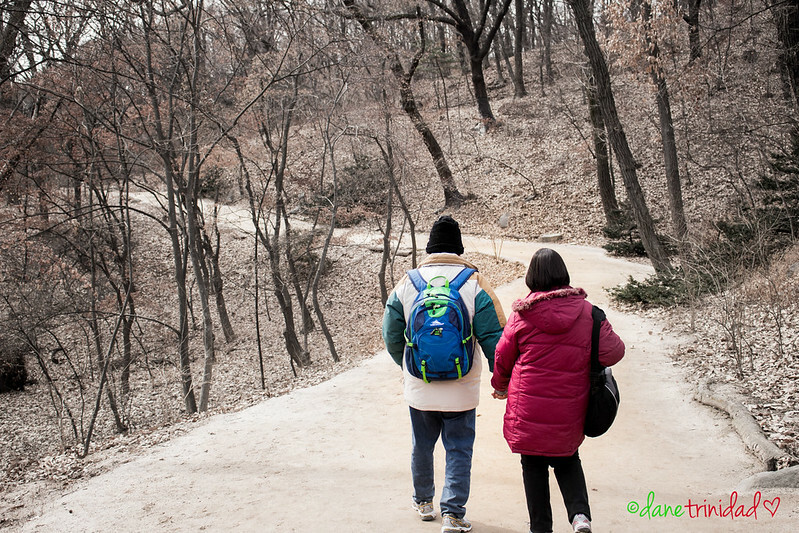 Initially, I planned our first day to be in Nami Island. But, when I checked the latest weather forecast, I saw that there will only be snow in our second day, so I interchanged day 1 and day 2 itineraries ( since Nami is perfect with snow). 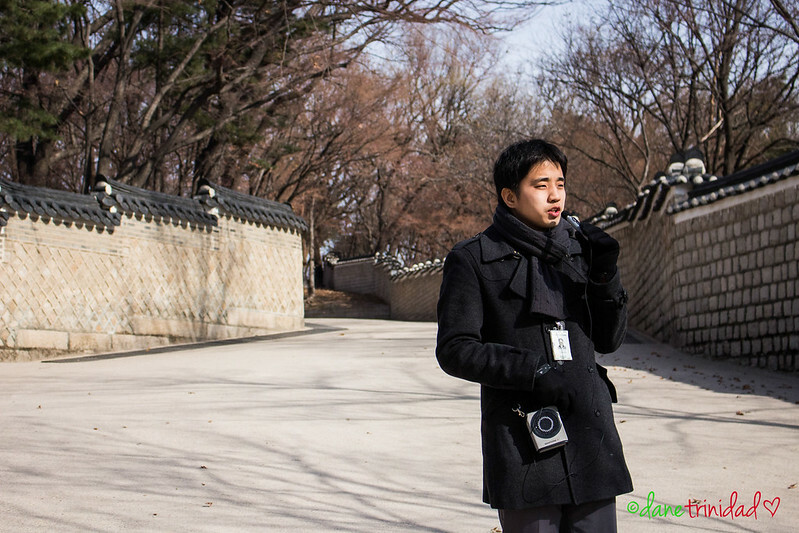 We spent our first day on a Seoul City tour, visiting palaces, and simply wandering around the place. 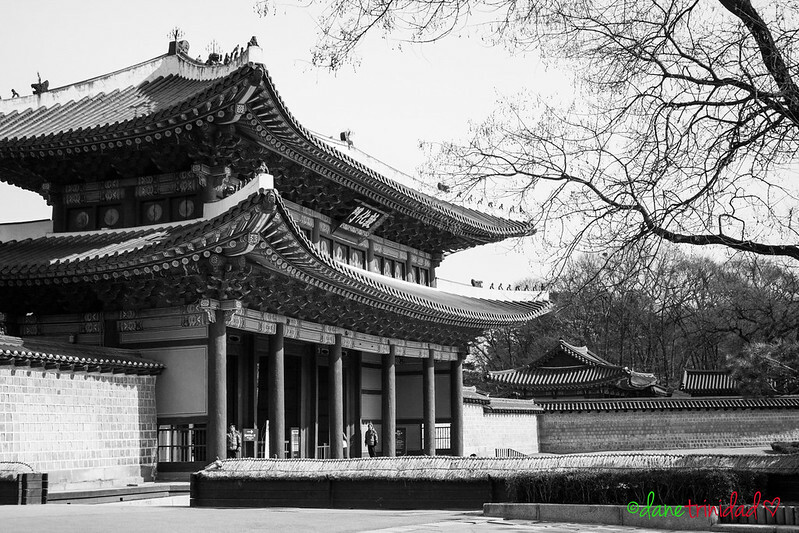 This is one of the Five Grand Palaces built by the Joseon dynasty. 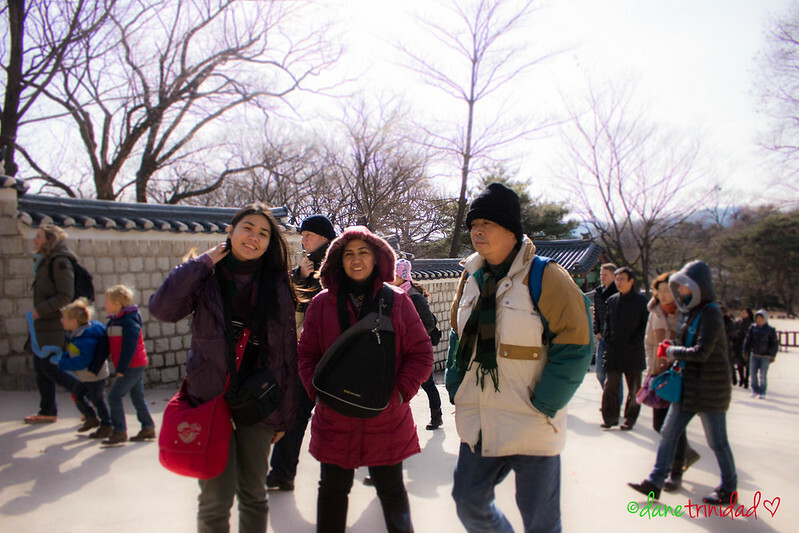 The Changdeokgung palace has a very big land area, so just a headsup if you plan to bring your parents, be gentle on walking. We visited this palace specifically for its famous Secret garden, which is a UNESCO World Cultural Heritage Site. Overall, I recommend you to visit this palace to feel the traditional palace spirit of Korea. And I really like the Secret garden because its a picture perfect place. Me with one of the famous spots inside the Secret garden. The lake is frozen! How to go: Take the subway, and alight at Anguk Station (Subway Line 3), then use Exit 3. Just go straight for 5-10 minutes. 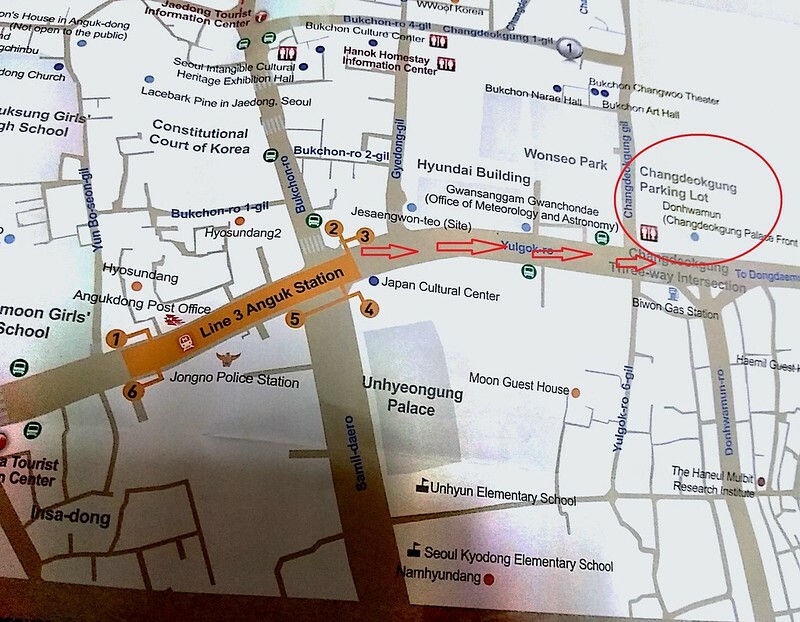 Don’t worry about being lost since there are plenty of Changdeokgung Palace direction labels in the street. What to do: (a)You can take the guided Secret Garden tour for 1.5 hours ( take note that you cannot tour the garden alone). (b) Rent traditional Korean dress called Hanbok and have a photoshoot in the palace , (c) Photowalk around the place- everything seems so ancient and royal at the same time. Lei, Mom, and Dad with the other tourists who availed of the guided Secret Garden tour. 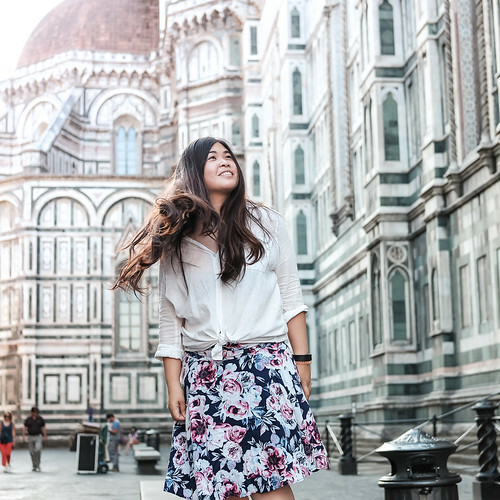 The tour guide speaks English fluently so you definitely can understand the whole tour. He even told us to be careful inside the Secret Garden since a looong time ago, there was a reported sighting of bear and tiger! The long and winding road back to the entrance since we decided to leave the guided tour early. Samcheong-dong is very near to Changdeokgung and even Gyeongbokgung Palace. This area is famous for its cute coffee shops, artistic aura, and stores that sell various trinkets. 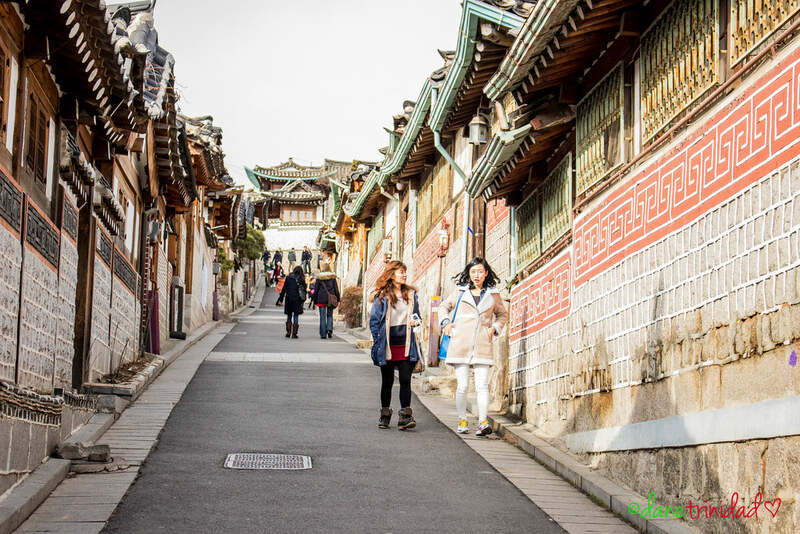 One of the most visited spots here is the Bukchon Hanok Village which is famous for its Hanok houses. 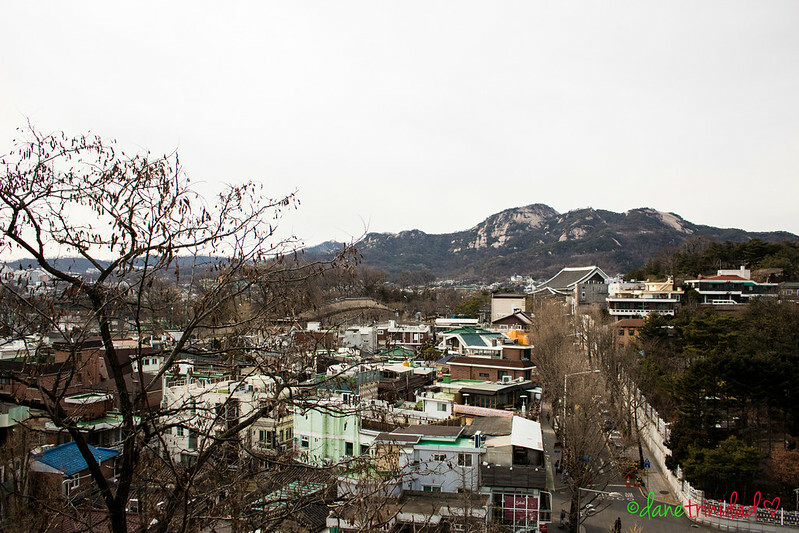 Hanok refers to traditional Korean houses, while Bukchon is the place where aristocrats used to live during the Joseon dynasty.This spot is great to take pictures as well. 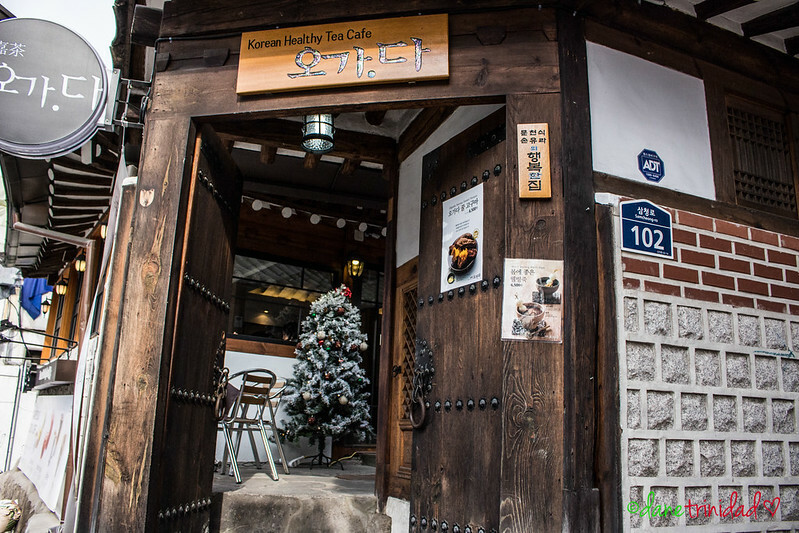 The Best spot in Bukchon Hanok Village ! How to go: Take the subway, and alight at Anguk Station (Subway Line 3), then use Exit 2. 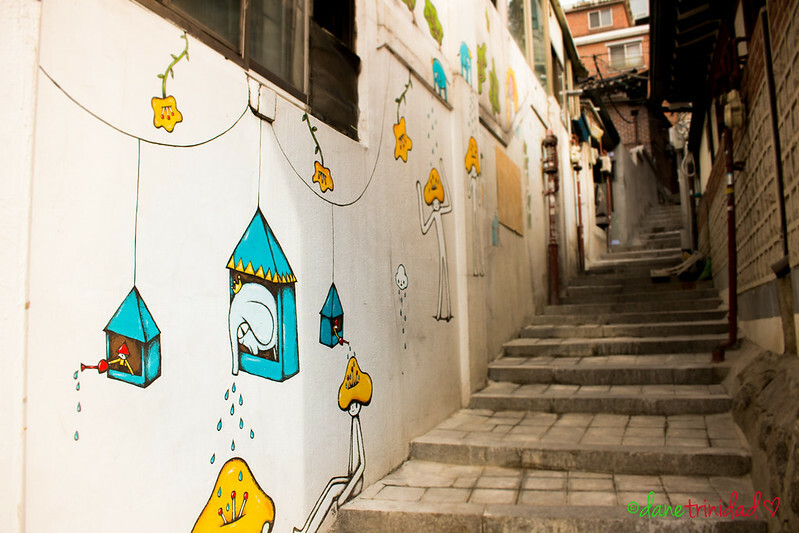 Just go straight and you will reach the endless cute stores and coffee shops of the samcheong-dong area. You can also find tourist guides/volunteers who will give you free maps . Bukchon Map. 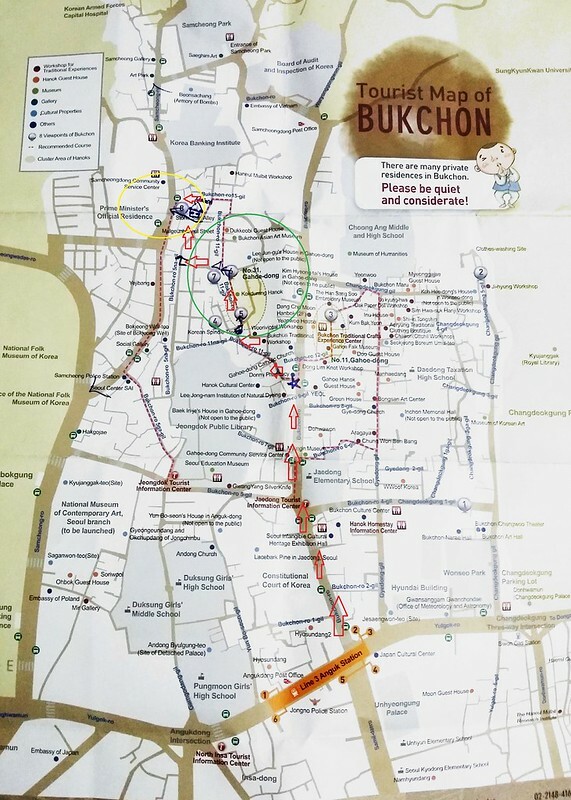 The green circle represents the Bukchon Hanok Village area while the yellow circle represents a portion where you can see the Samcheongdong coffee shops. All around the area you can find all kinds of cute coffeshops and stores. What to do: (a)Choose a cute cafe and have your afternoon coffee /cup of tea plus Matcha waffles! (b) Photowalk! take papparazzi pictures of cute Korean couples touring around Samcheong-dong, or ake pictures of various artworks in the street. Cost: 0 , if you will just go for a photowalk. Notes: Open all the time. Perfect to visit in the afternoon since its famous for coffeeshops. A coffee shop decorated with Christmas trinkets! 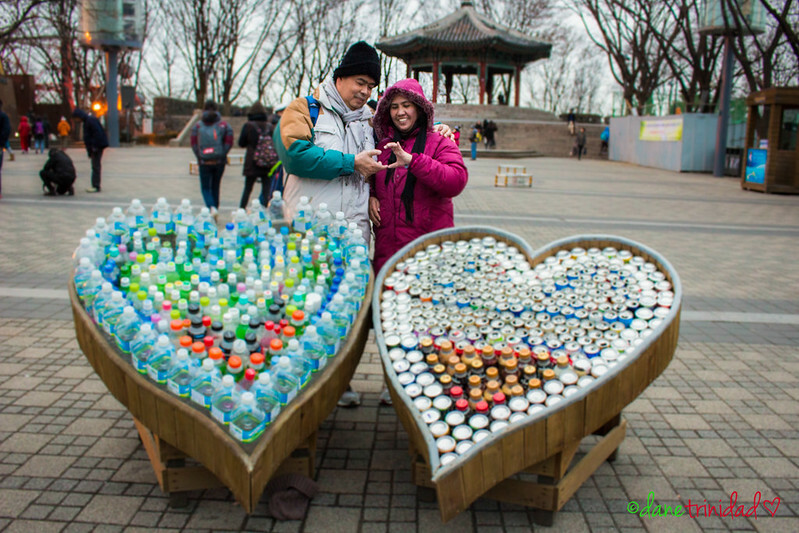 Namsan Tower is one of the most famous spots in Seoul since it gives you a panoramic view of the city. 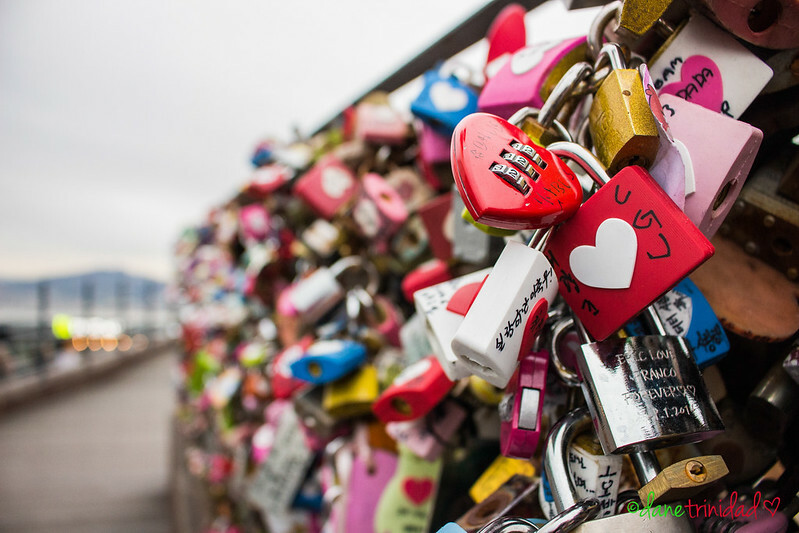 It is also famous for the thousands of love locks placed onto it by lovers all over the world! 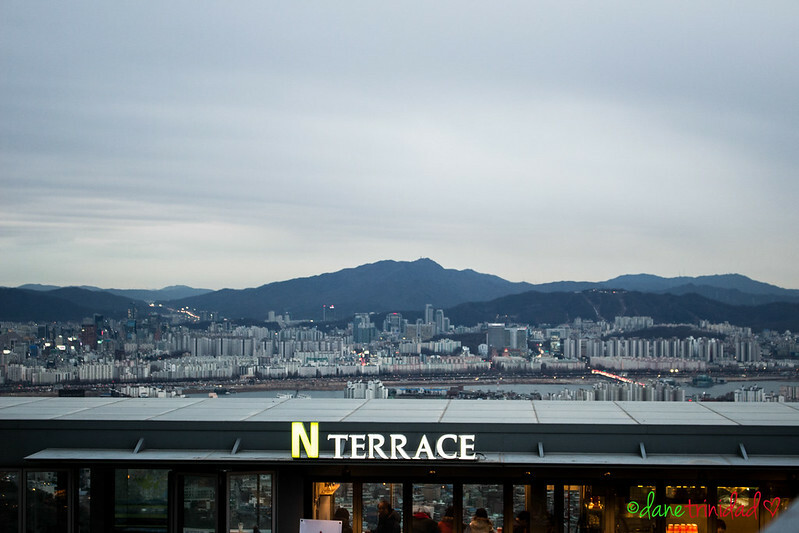 If you are on a budget, you can definitely visit this place and just stay at the terrace while still having that perfect Seoul city view. Love Locks. Such a cheesy and happy sight. 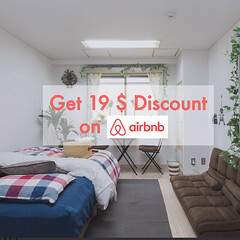 How to go: Take the subway, and alight at Myeongdong Station (Subway Line 4), then exit 3. use the road to the right of Pacific Hotel and walk uphill for 15 minutes to Namsan Cable Car Station. 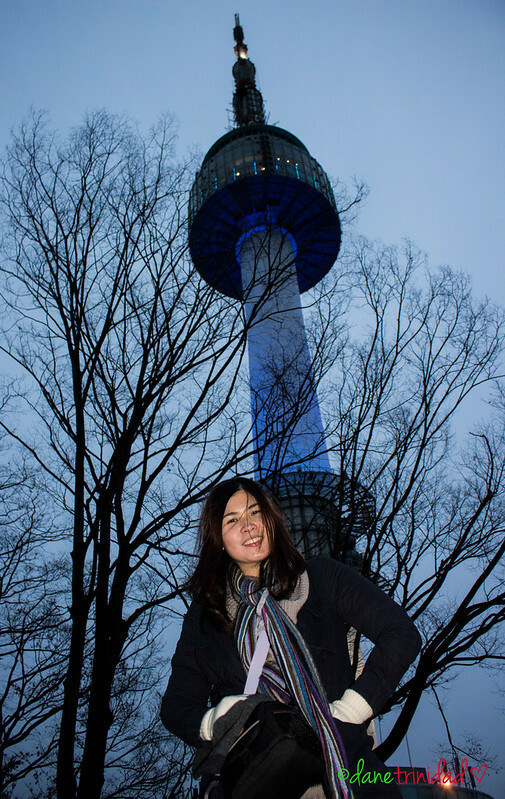 Take the cale car to North Seoul Tower (around 5 minutes). Cost: 8500 for roundtrip cable car ride. 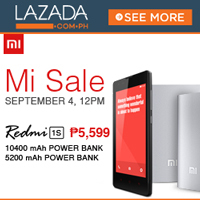 Notes: 10AM to 11Pm(Sun-Thu), until 12 midnight (Fri-Sat). And that ends our Day 1 in Seoul! Definitely, this is one of the days with the most walking so we ended up tired and sleepy in our hostel afterwards (Myeongdong Global Hostel). 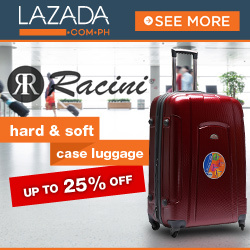 If you are too busy and still want to have a Budget Travel Experience, you can ask me to create a customized budget travel itinerary for you or even hire The Madaldal Kid as your budget travel tour guide! >>click here. 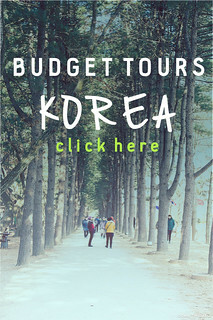 For other posts, you can refer to my Budget Travel in Korea series. We total of 6 ppls going to korea for 10 days tours during 25 Nov 2016 on Free n Easy tour. We would like to go this places Nami island, Nansan, N Tower ……. 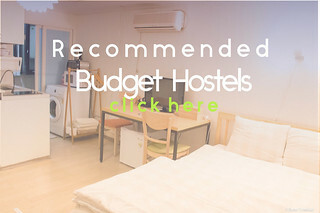 Kindly recommend me any tour i can join n also the accommodation? 1. if i were to spent a whole day in Everland, it can be a day trip right? by that i mean, i’ll come in the morning from a hotel in myeongdong, and then go back at night to myeongdong. is it possible? how far is everland from myeongdong? 2. if i were to spent a whole day in a ski resort which resort would you recommend (nearest to seoul)? p/s i have officially read all your entries for korea! helped a lot! Hi! If we just want to take photo-ops at the love locks and broken chair, does it require a cable ride?